Pictured here on the far right is Ismail Ahmed, a Walthamstow resident of Somalian heritage. In a time when Muslims across the world and closer to home are portrayed in a negative light Ismail exemplifies all that is good about Humankind. Ismail, a Salaam Peace Volunteer, despite his very busy family and work life, gives up time every week to work with young Somali men as part of the Blue Ocean football team. Many of these young people would otherwise be engaged in betting and substance misuse. 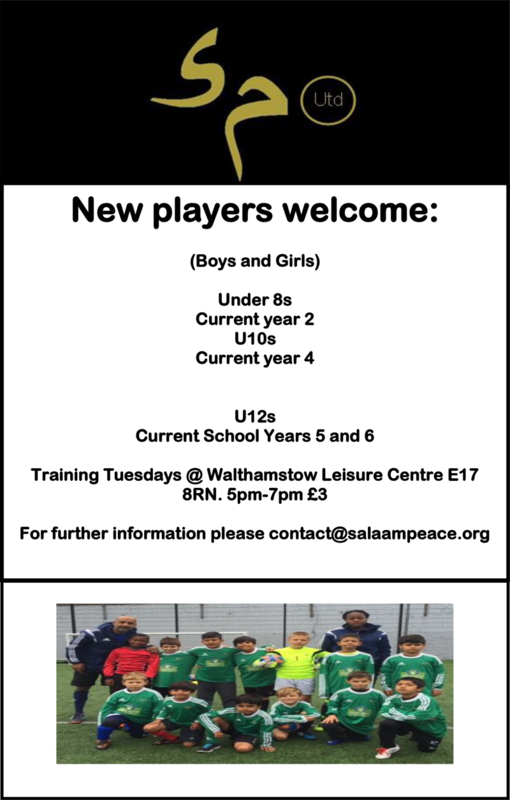 Ismail leads by example with his kind and generous nature, harmonising the group and leading them to success in many Salaam Peace Community initiatives including the Friday Floodlight league and the Champions of Champions final on Thursday 31st March 2016.